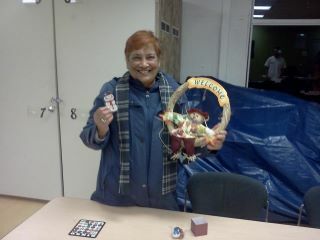 Bingo was a great success! We had nearly 20 participants from all over the Cascade neighborhood building community while enjoying 8 exciting rounds of Bingo. Residence from Cairns, Bart Harvey, Jensen, Casa Del Rey, and Lakeview apartments were present for this event. Please join us on our next First Friday Family Fun Night for a Show-&-Tell Potlcuck and Open-Mic Night on February 3rd. Bingo will take place on the first Friday of every other month from 6-9pm. Our next Bingo tournament will be March 2nd. This event would not have been possible without the generous donations from LIHI, Nollies, Mom-&-Popcycle, Jillians, Mad Pizza, wholefoods, and several Cascade community members. We appreciate your continued support in our efforts to build community here in the Cascade Neighborhood!